The much less well known and largely forgotten, but no less important realm of the Great War. An area of the conflict that saw Austria-Hungary, Germany and Bulgaria fight Serbia, Russia and Romania. The events on the Eastern Front directly led to world historical events such as the collapse of three empires, the Russian Revolution, the rise of radical ideologies such as communism and fascism as well as the creation of many new nation states. All of these events would have massive consequences for the conflicted history of Europe during the 20th century. Maria Bochkareva entertained ideas of creating and leading an all-female force at the front. The February revolution had brought a new government to power, but the crisis was ongoing. This offered Bochkareva a prime opportunity. She would take advantage of the Russian provisional government’s need to raise morale in the armed forces. The army was suffering from mass desertions and mutiny. The new leadership thought that having an all-female combat unit might shame the men into fighting. 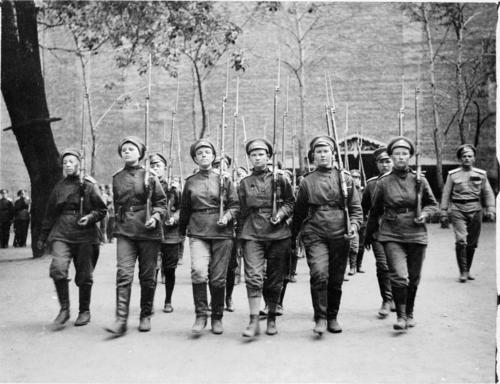 Bochkareva went to work with a force of two thousand prospective female soldiers. Due to her stern discipline and harsh training methods, over 80% of the recruits quit. What resulted was a force of 300 hard bitten, crack female troops that would form the “First Russian Women’s Battalion of Death.” It was not long before they were thrown into battle, fighting an action at Smorgon (Smarhon in present-day Belarus) against the Germans. Accounts say they performed competently. Unfortunately the battalion spent as much time fighting off their own side as they did the enemy. They faced ridicule and violence from male troops who wanted the war to end. The October Revolution soon brought the Bolsheviks to power. Bochkareva was aghast that the Bolshevik’s wanted to negotiate peace while the enemy was still on Russian soil. She turned her ferocity towards the enemy within. This would result in her arrest and near execution. Her savior turned out to be a male soldier who had once fought alongside her. She was freed, but had to leave her beloved homeland. This started the final period in Bochkareva’s life. She undertook that long journey around the world to drum up support for the anti-Bolshevik forces known as the Whites. This was what brought her to those audiences with the American president and the British King. Bochkareva’s presentation of her story and the story of Russia’s plight under Bolshevik rule was met with sympathy by American and British leaders. She was one of many who encouraged the western Allies to provide support to help the White forces overthrow Lenin and the Communists. In the coming year both nations would send troops to Russia, but they were of little help. The White forces were disunited, separated by thousands of miles and failed to coordinate their offensives with each other or allied forces. Meanwhile, Bochkareva traveled back to Russia courtesy of the British government who paid her way. Only thirty years of age, Bochkareva had done enough traveling and fighting to last several lifetimes. Once back on home soil, Bochkareva’s goal was to make her way once again to Siberia, specifically Tomsk, the city she had left home for fifteen years and what must have seemed like a lifetime ago. She arrived there with the hope of starting another women’s battalion. The White forces were losing the Russian Civil War and needed all the help they could get. Their commander Aleksandr Kolchak had other ideas. He would not allow Bochkareva to create another women’s battalion. Instead she was given the duty of starting a women’s medical detachment. This had to be one of the greatest disappointments of her life. Danger soon outweighed disappointment. Bochkareva once again fell into the hands of the Bolsheviks in April 1919. This time there would be no escape. She endured over a year of captivity, including months of interrogation while imprisoned in the city of Krasnoyarsk. By the early part of 1920 the Bolsheviks had emerged victorious in the Civil War. They now set about liquidating their opponents with extreme prejudice. Kolchak himself was executed. The label, “Enemy of the People” became commonplace. It was as much a death sentence as a label. Maria Bochakareva received a death sentence in the spring of 1920. On May 16th she was placed before a firing squad. Bochkareva once again stared down the barrel of multiple guns as she had so many times before. The difference this time was that she was unarmed. There are no details of Bochkareva’s final words. One can imagine that she most likely stared death in the face, the same way she had done on the battlefront. This final time was different. As the gunfire crackled, it signaled not the beginning of battle, but the end of both her war and life. The two had been inseparable. Today Maria Bochkareva is barely known if at all. This is not surprising since the Bolsheviks destroyed their enemies both physically as well as historically. There was no mention of personages such as Bochkareva in official histories. Anyone who had opposed the Bolsheviks became a non-person after their death, unless that person could be used for propaganda purposes. The wars in which Bochkareva fought with honor and courage were seen as imperialistic capitalist enterprises. The old Russia had been eradicated in a six year long process that had started with its entry into the Great War in 1914. Total war had been followed by revolution which was followed by another revolution which was followed by a civil war. During this period Russia underwent a radical transformation. Millions did not survive the process. Bochkareva was one of those who did not last. Her life succumbed to a deathly paradox. She was up to the war, but not the revolution. She suffered at the hands of violence, only to co-opt it. War seemed to give her life meaning, but it eventually took her life as well. Live for the war, die by the war. The American President was in tears. The woman who sat before him had made a compelling case that America and its allies must intervene to help save her homeland, Russia, from the Bolsheviks. The President, Woodrow Wilson was overcome with emotion. He listened to her story intently. This was a woman who knew how to persuade powerful people in getting what she wanted. More than anything she knew how to fight for herself and her country. After all, she had once secured the last tsar’s personal permission to join the Russian Imperial Army during the Great War. 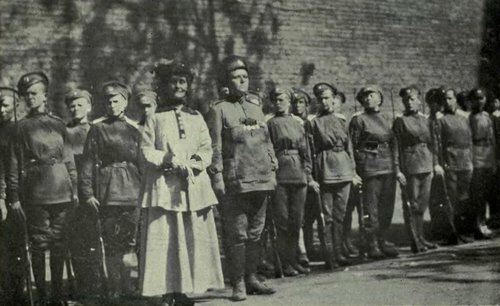 She had also created a self-styled “Battalion of Death”, the first all-female military force in Russian history. 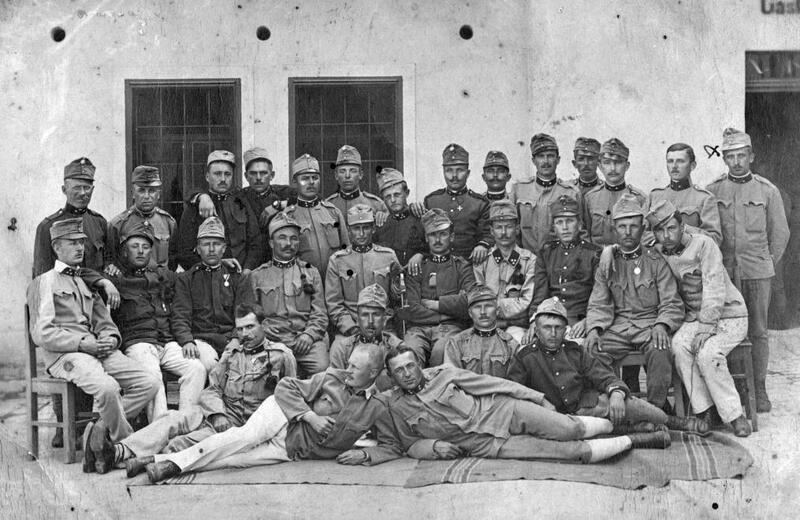 When the rest of the Russian army was either in mutiny or deserting, the battalion had fought with honor. Later, she had narrowly escaped execution at the hands of the Bolsheviks and been sent into exile. This meant making her way to America by crossing the whole of Russia, the Pacific Ocean and finally from the west to the east coast of the United States. What a story it was and it was not over yet. There was always another battle to fight. Who was this extraordinary woman that on a mid-summer’s day sent tears coursing down the face of the President? Who was this woman who would soon gain an audience with none other than Britain’s King George V? Her name was Maria Bochkareva, a woman who always had another battle to fight right up until the last bullet. The First World War changed not only the geo-political landscape of the world forever, but also the societal one. Much has been made about the opportunities that became available to women as a large percentage of the male working class went off to fight at the front. Less is said about females fighting at the front during the conflict. Women on the battlefield during a World War, brings to mind images of the thousands of women who fought with bravery and courage for the Soviet Union during World War II. 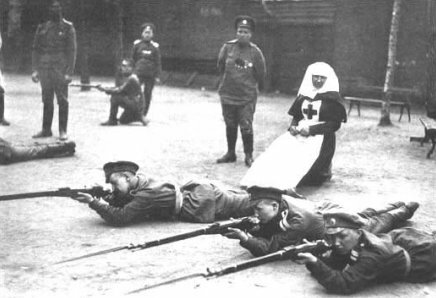 Much less is said about the experiences of Russian women during the Great War. Their names and actions have been lost, like so many of their lives in the maelstrom of Revolution and Civil War which engulfed the country. Maria Bochkareva was one Russian woman who attempted to change the traditional view of a woman’s role in war time. Her tumultuous life before the war had prepared her for conflict. It seems that conflict is what she knew best, from her earliest adult experiences. Maria Bochkareva was born to a family of peasants in the Novgorad region of Russia. As a child she was badly abused by her alcoholic father. Domestic violence was a recurring theme in the relationships Bochkareva had with the males closest to her. As a teenager she left home to marry a man who was no better than her father. She moved with her new husband to the city of Tomsk in Siberia. She would end up leaving him as well, due to the violence he inflicted on her at home. Bochkareva was tough and resourceful though. She acquired work as part of construction gangs that were laying cement in boomtowns popping up along the Trans-Siberian Railway. Her leadership skills must have impressed her superiors because she ended up working as a foreman overseeing the work of twenty-five men. Bochkareva would soon remarry, but once again she chose poorly. Her second husband was convicted of theft. He was sent into exile in the far northeastern Siberian city of Yaktusk. This was just about the most forlorn place on earth. Yakutsk is known as the coldest city in the world, a place where the average January high is a bone chilling -34 degrees Fahrenheit. This failed to deter Bochkareva who followed her husband all the way to the deepest recesses of the frontier. Amazingly, she made most of that journey on foot. Despite her spousal loyalty and the fact that Bochkareva would follow her husband to the ends of the earth, the marriage ended in failure. Once again the issue was domestic abuse. 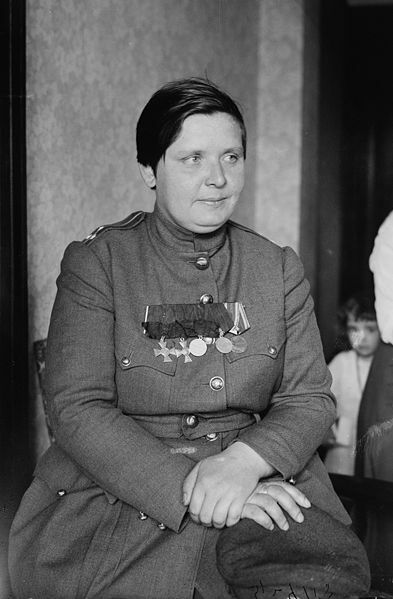 With conflict a given in her life, perhaps it was only natural that Bochkareva would gravitate to the military after the outbreak of the First World War. She sent Tsar Nicholas II a telegram asking for his personal permission to allow her to join the army. He gave his assent. Soon Bochkareva was with the 25th Reserve Battalion on the Eastern Front. At first, she faced unceasing prejudice and sexual harassment, but Bochkareva’s early life experiences had prepared her well for dealing with adversity. Her ferocious fighting spirit and death defying courage silenced all prejudice. She was wounded twice, one of which resulted in shrapnel piercing her spine. She was paralyzed and incapacitated for six months, but recovered and taught herself to walk again. It was not long before she was back on the battlefield. 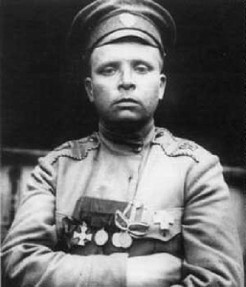 Bochkareva was decorated for bravery no less than three times. On multiple occasions, she had showed courage under fire while recovering wounded or dead soldiers from no man’s land. By early 1917 Bochkareva’s will to fight and heroism was the very antithesis of the prevailing mood in the Russian Imperial Army. The rank and file soldiery wanted the war to end. Millions had been killed in pointless slaughter. All prior gains on the battlefield had been lost. On the home front, hunger stalked the cities. It had become apparent that a total war effort was beyond the capacity of Imperial Russia. Confidence in the leadership was at a low point. In late winter, the February Revolution broke out and the Tsar was deposed. A provisional government took power. Despite a public mood yearning for peace, the Provisional Government made the fateful decision to continue fighting. This pleased Maria Bochkareva. She firmly believed that the enemy must be expelled from the soil of Mother Russia, whatever the cost. The continuing prosecution of the war meant even greater sacrifices would be needed. Bochkareva had an idea who might be able to make those sacrifices and she also knew who should lead it. Toward the end of his long and improbable life Franz Kunstler is reported to have said, “When I’m 110 the devil can come and get me.” The devil never came for Kunstler, but death did. At the ripe old age of 107, Kunstler finally died. It had been a long time in coming. It has now been over six and a half years since Kunstler, the last surviving Austro-Hungarian soldier to fight in World War I, died. Kunstler outlived the other 7,800,000 soldiers who fought for an empire that would vanish at the end of the war. Kunstler had won the lottery ticket of life, outlasting his compatriots by luck and longevity. The biographic (and geographic) details of Kuntsler’s life are astonishing. They illuminate the lost multicultural world of the Austro-Hungarian Empire, a world of many different ethnic groups living side by side. This world existed across much of Central and Eastern Europe for hundreds of years, but was obliterated in just over three decades by two World Wars and the influence of radical ideologies. The passing of Kunstler was not just a bit of World War I trivia worth documenting, it was also an opportunity to reflect on how much had changed in Europe due to the rise of nationalism and nation-states in Eastern Europe. Franz Kunstler was born at the start of the twentieth century in Sósd, (present day Măureni, Romania). The village was located in the Kingdom of Hungary, one-half of Austria-Hungary. Kunstler grew up in a region known as the Banat, an area of rich farmland that is today located in western Romania, northeastern Serbia and a small sliver of southeastern Hungary. At the time of Kunstler’s birth the region was part of one empire, by the time of his death it was part of three nations (and had also been part of one that no longer existed – Yugoslavia). At Kunstler’s birth, the Banat region was 40% Romanian, 25% German, 18% Serbian and 12% Hungarian. The Hungarians, though the smallest of the major ethnic groups, ruled over the area. Thus, Kunstler would have been officially known by the Magyarized version of his first name, Ferenc. 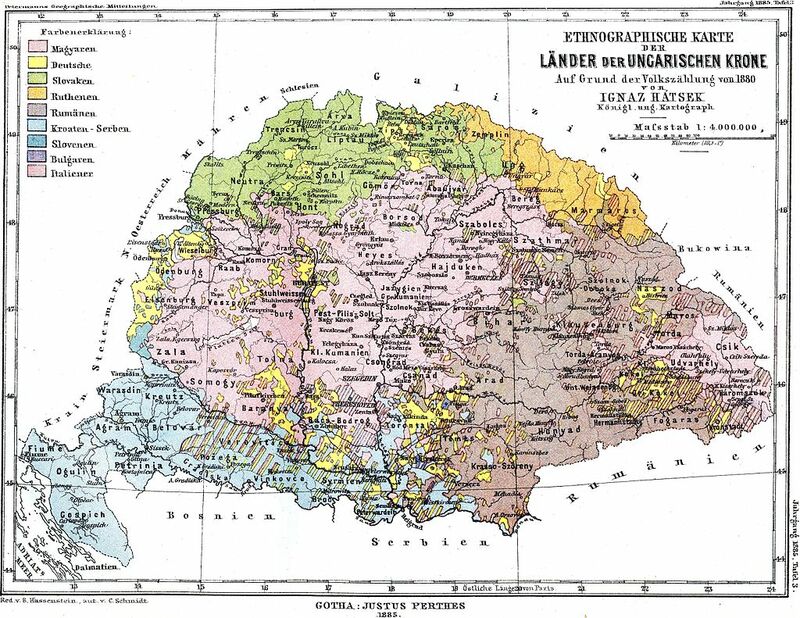 Though German was Kunstler’s mother tongue, anyone looking to truly get ahead in the Banat region had to be bilingual, with Hungarian the official lingua franca. At the tender age of fourteen Kunstler’s life took an unexpected turn. In an interview toward the end of his life he recalled arriving back in his home village by train after a vacation in the late summer of 1914. His father met him at the station with the news that their world was about to change radically, Austria-Hungary was going to war. Kunstler ended up abandoning his dream of becoming a lawyer. Instead he had to help on the family farm as his older brother’s went off to fight in the war. When he turned 18, Kunstler was drafted into what was about to become the final year of the war. He only received a month and a half of training before being sent off to the Piave Region on the Italian Front. There he served in the artillery until the end of the war. Kunstler witnessed the collapse of the army in the face of new Allied offensives that proved to be decisive. Though he survived the war unscathed, its end did not bring peace for Kunstler. He ended up fighting the communists in Hungary in the immediate years after the war. He also found himself, as did millions of others, with his home now in another nation. The village where he had grown up had now become part of Romania. The Banat Germans were not forced to leave Romania, but some reports state that Kunstler was expelled. This could well be true, since he had been fighting for Hungary, which was now a mortal enemy of Romania. Kunstler moved to the restored Kingdom of Hungary where he began a new life selling household goods in Budapest. Little did Kunstler know that this was not the end of his odyssey, but the beginning of another one! A little over twenty years later, he along with almost all of Europe became involved in a Second World War. 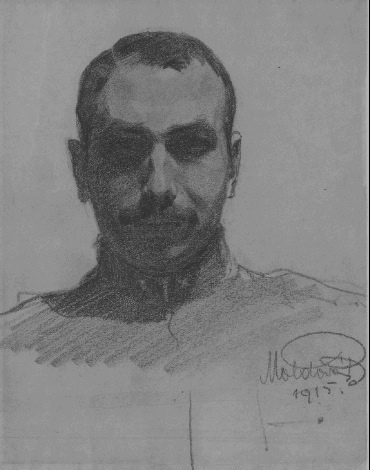 Kunstler joined the Hungarian Army, seeing service as a mobile courier in Ukraine. Lucky for him, that this service only lasted six months. He avoided the cataclysmic defeat that befell the Hungarian Army in southern Russia. Loss was something that he could not avoid though. Hungary along with Germany was defeated. Budapest was devastated and Soviet troops occupied Hungary. Kunstler was soon arrested and put in jail by the Communists. It seemed as though his luck had finally run out. Was Kunstler like so many other ethnic German men to be exiled and waste away performing hard labor in Siberia? This would likely have been his fate if he had not managed to escape from prison. Running westward for his life and toward his ethnic brethren, Kunstler made it to southern Germany. A man who had somehow survived two World Wars, lived under one empire, one republic and one dictatorship, finally found his place in a newly democratic western Germany. Kunstler had found a nation that he could call home, a nation created from the wreckage of war that would finally achieve a lasting peace. This might well be the most improbable part of Kunstler’s life. After forty-six years of upheaval and a life filled with surprises, he now settled down. The first forty-six years of his life had been anything but calm, yet he would go on to live a second life in peace. 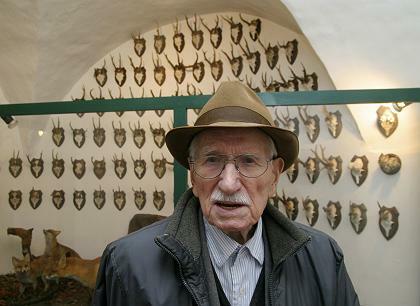 Kunstler became a tour guide at a hunting museum. A museum was probably the best place for Kunstler since he was truly a living relic. The places that he had once called home had now become communist Romania and Hungary, nations not at war with other nations, but at war within themselves. They would not last either. The iron curtain eventually fell and peace finally fell over all the nations East-Central Europe. Franz Kunstler lived to see and experience all of the 20th century’s violent, vengeful and finally peaceful iterations. Remarkably Kunstler lived on into the 21st century. Toward the end of his life he was not only the oldest living Austro-Hungarian veteran, but also the oldest living person in Germany. Kunstler was uneasy with his fame. In an interview with the German magazine Cicero he stated, “I was no Hurrah soldier and simply did what I had to do?” Millions of other Austro-Hungarian soldiers would probably have given the same answer, but they had died many years before. Franz Kunstler had outlived them all. His greatest and most enduring skill had been survival. The problem with history is that in the overriding majority of cases, the people being influenced by it, did not have to live through it. The present is separated by years, decades and centuries from the past. The context in which past events occurred is lost over time. Is it any wonder present opinions and values are imposed on views of the past? We who are here today always seem to know better. With such a vague, indirect and indifferent connection to the past it is hardly surprising that we look back through rose tinted glasses, with an air of alarming self-righteousness. Statements are made with complete confidence on how we would have done things differently. It is easy to make such proclamations when you do not have to live with consequences of your decisions. Now that the 100th anniversary of the First World War is in full swing the retrospective judgments of a supposedly much wiser public are being posited with little regard to the context in which that ill-fated conflict was fought. Today’s opinion makers and armchair historians love to talk about how blundering diplomats were self-serving at best and willfully ignorant at worst. The nations and empires involved were filled with vile nationalistic instincts. The public was uninformed and naïve. The military strategists on all sides lacked vision and cultivated cataclysm rather than victory. While some of this is undoubtedly true, it is no truer than at any other time in history, especially when it comes to military affairs. What was different during the First World War was the lethal killing power readily available to all combatants. Machine trumped man and ushered in an age of efficiency in the art of murder that was scarcely fathomable then and almost as incomprehensible now, even with the hindsight of a century. One opinion that is often espoused and quite irksome to hear is that countless lives were lost for nothing. This flows from the idea that the men fighting out in the trenches, across the battlefields and high seas really had no idea what they were fighting for. Even worse, if they did know, they somehow knew they were fighting for nothing in particular, a sort of violence for the sake of violence. Now do not get me wrong, millions of lives were wasted, but I am pretty certain that these men were definitely fighting for something, even if they were not totally conscious of it at the time. This brings us to the case of Hungary and the Great War. The Kingdom of Hungary lost hundreds of thousands of men on the battlefield in four long, bloody years. To make matters much worse, after the war, Hungary lost 64% and 72% respectively of its prewar territory and population in the negotiated peace. Supposedly this happened because of a war where Hungarian soldiers had no idea what they were fighting for. It was not so much what they were fighting for, it was more like what they were fighting against, specifically losing much of the Kingdom of Hungary. 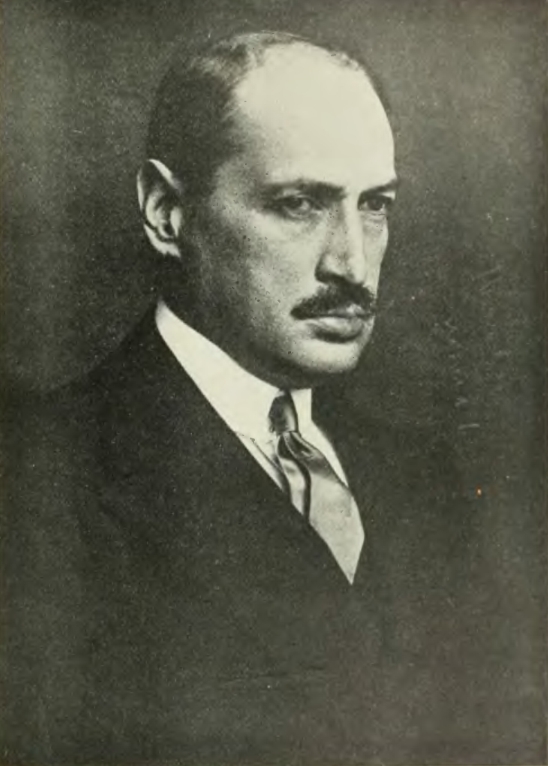 Case in point, the Prime Minister of Hungary, Count Istvan Tisza had been against Austria-Hungary going to war with Serbia. Indeed he had advised both Habsburg Emperor Franz Josef and Austria- Hungary’s Commander-In-Chief Conrad Von Hotzendorf to avoid war. Both the Emperor and Hotzendorf felt otherwise and their power trumped Tisza’s. Seeing that the dye was cast against him and his country – the Austrian leadership was hell bent on punishing the Serbs – he threw his lot in with the Austrians. Once the decision was made, Tisza and Hungary went full force into the conflict. He surmised, as did so many ethnic Hungarians that this was a life and death fight for the violability of the Kingdom. Self-interest, alliance and honor made any other decision impossible. The truth of the matter is that all those Hungarian men who were struck down in the sand and dust of Galicia, the frozen passes of the Carpathians, across the rugged terrain of northern Serbia and in the lonesome Alps of northern Italy most certainly were fighting for something. This was to keep the Kingdom of Hungary together or put another way, they were fighting against dissolution and revolution, to continue their most favored status in an increasingly unbalanced Dual Monarchy, riven by ethnic tensions. What was pushing the entire Kingdom of Hungary over the top? Perhaps, it was the creeping suspicion that a loss would mean the end of their autonomy in the Dual Monarchy or even the end of the Empire itself. Fear is a great motivator and paradoxically it can lead men or whole nations to commit themselves to acts of courage that bring about their own self-destruction. The fear was that Hungary would be subsumed or even worse consumed by Germanic and Slavic peoples. Their power might erode or disintegrate from within the Empire. Every ethnic Hungarian who marched off to the front must have done so in the knowledge that they were fighting to continue being more equal than all the others in the Dual Monarchy. Even those ethnic Hungarians who lived as peasants in the most miserable circumstances were still better off than Slovaks, Romanians, Serbs, Slovenes and Croats. The ethnic Hungarian was still a Magyar and need not undergo the process of Magyarization that had been fomented with such zeal by the Kingdom’s leadership since the Compromise of 1867 against all the “others.” The ethnic minorities or should we say (gasp), nationalities of the Kingdom really had no active role in the economic, political or cultural life of Greater Hungary. Yes those Hungarian soldiers were definitely fighting both for and against something on all those far flung fields beyond their borders, in battles beyond their worst nightmares. Those who survived the war to see the Kingdom sundered and their ethnic kin in Felvidék (Slovakia), Bácska (northern Serbia), Erdély (Transylvania), the Bánát (west-central Romania) and Kárpátalja (modern southwestern Ukraine) placed under the rule of Czechs and Slovaks, Serbs, Croats, Slovenes and Romanians most have known that this was what they had been fighting against all that time. The resulting dismemberment of the Kingdom bore out this great truth. Did these men die in vain? One could say yes, but if they had been victorious, the Kingdom would almost certainly have remained inviolable. Whether or not one believes the cause the Hungarian soldier fought for was worth the terrible human cost, depends largely on one’s ethnicity. A Hungarian would say that it was absolutely worth it or would have been, had they met with victory. Was it still worth it in defeat? Was there any other choice? Many good men have died for all kinds of causes, both right and wrong, but to say that the men who went off to fight the Great War were fighting for nothing, especially in Hungary, is patently untrue. 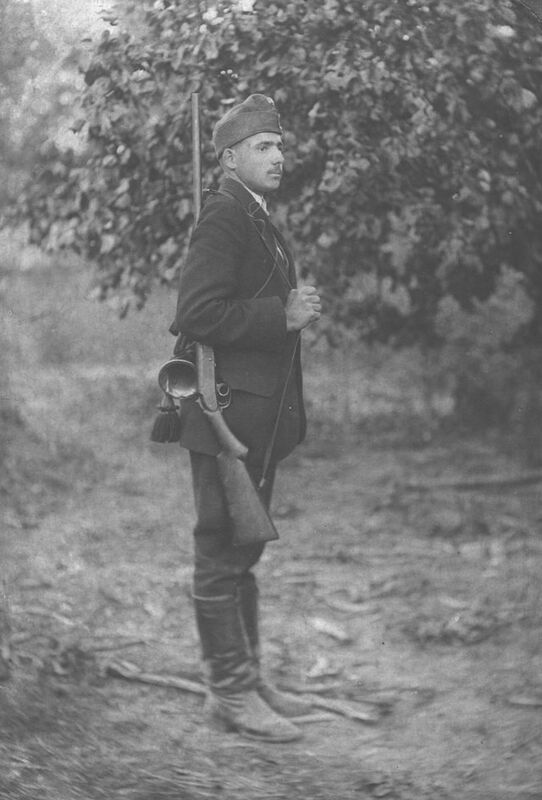 The ethnic Hungarian soldier’s fate was to fight for something that no longer exists. Yet armchair historians would do well to remember that eventually everyone who goes to war – whether they achieve victory or suffer defeat – fights for something that someday will no longer exist. The Polish city of Przemysl, a place with an unpronounceable name (at least to English speakers), is located in the far southeastern corner of Poland, only 20 kilometers from the border with Ukraine. It is famous for having been at the center of one of the largest fortress complexes in Europe that saw ferocious fighting during World War I. Because of this, the city became the setting for what is now known to history as the Siege of Przemysl. This was a months-long ordeal that occurred exactly a century ago. 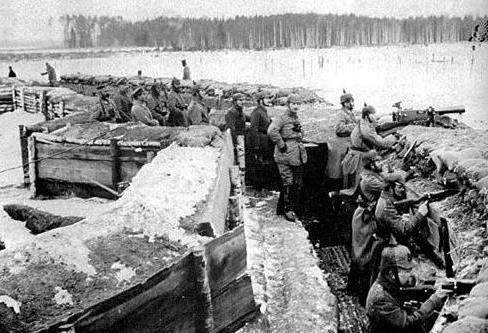 The siege ended in the surrender of 120,000 Austro-Hungarian soldiers to Russia. The Russian victory was pyrrhic. They would be forced to abandon the city several months later in the face of a German led offensive. This being the one hundredth anniversary of the siege, it seemed like a good time to visit the city to see remnants of one or more of the fortress complexes. What I found left of the First World War was interesting, but what I discovered about the city was even more illuminating. Przemysl is a beacon for both Poland and the European Union. 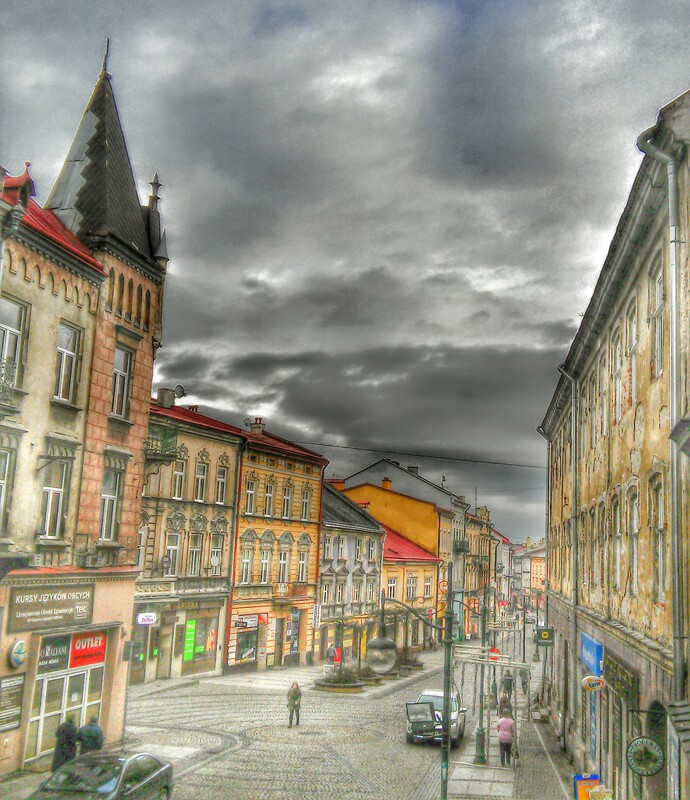 This small border city is casting an alluring glow eastward into western Ukraine. Any Ukrainian who crosses the border to visit the city is bound to come away saying, that’s what I want. Crossing the border from Ukraine to Poland, on the way to Przemysl is instructive. One expects to find long queues, nasty border guards and seedy smuggler types lurking everywhere. Actually, the entire process is quite orderly and well done. Albeit, I would not want to be crossing in an automobile, as the lines on the roadways were long. (though on this mid-December day not inordinately so) Arriving on the Ukrainian side of the border by bus, it took less than 15 minutes to clear border controls for both sides at the walk through area. Astonishingly, this was done with a non-EU passport. The Ukrainian border control was just as efficiently run as the Polish. In retrospect, it is hard to even think of a difference between the two. Once in Poland, it costs the equivalent of a dollar and a half to take a bus to the heart of the city. It was just a stone’s throw from Przemysl’s bus terminal to its railway station and this was where the city began to reveal itself. I have been in a lot of railway stations in my life, largely in Central and Eastern Europe. I like to say that the ones in Vienna, are some of the cleanest, most pleasant public spaces I have ever had the pleasure of visiting. Believe me, Vienna’s stations have nothing on Przemysl’s main one. In all honesty, one could eat off the floor. The place literally gleamed. It looked as though, it had just opened yesterday. The place put even Teutonic efficiency and cleanliness to shame. Yet as new as it looked, the station still had a belle époque aesthetic, as though the place was still part of the Austro-Hungarian Empire. I would not have been surprised if railways officials with twirling mustaches and aristocratic ladies with parasols had strolled past in the waiting room. It really was that historic and pristine. Then there was the tourist information center, in a word: professional. A helpful lady produced an array of colorful brochures that soon made it apparent that Przemysl was very proud of itself. Everything was free and several of the publications looked more like the kind of things people would buy, rather than give away. The brochures delineated historic walking routes that tourists could follow. There were beautiful parks, stately buildings and an old town stuffed with atmospheric churches. Incredibly, the brochures all turned out to be true. This was not just good marketing, this was reality. Strolling through the town, one could not help but notice the cleanliness of the streets, the well-kept storefronts, the orderly traffic and ample directional signage. The city looked to be doing quite well. I came here thinking the place would be worse for wear, a downtrodden border town well past its prime with a few mildly interesting attractions. Przemysl was anything but. You could explore the many churches, which this being Poland, were of course all open. There was a restored hilltop castle. From what I saw, whatever great noble once called the place home, never had it as good as the present. There was nary a scrap of rubbish anywhere to be seen. Przemysl had a surfeit of museums, one for the history of the city, one for the history of the region, one for the history of the battle and one for bells and pipes The latter it seemed, they were especially proud of. I was disappointed this was only a day trip. One could have spent a good three or four days here and never grown bored. Then there were the forts. Only a couple were easily accessible from the center of the city, but these had new or improved trails, so tidy that it looked as though a permanent grounds keeping staff was employed to perform trail maintenance. 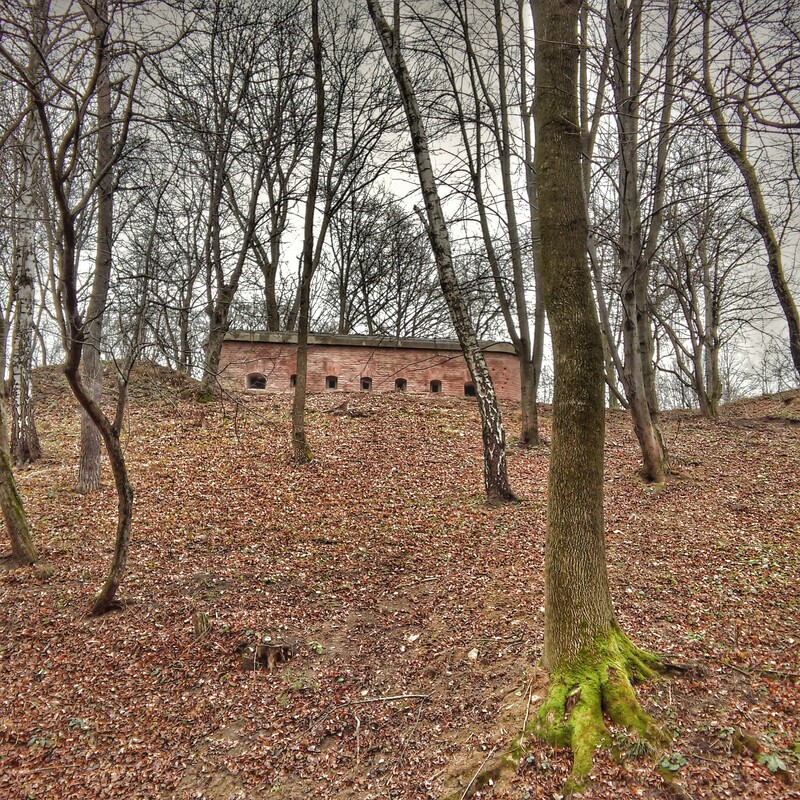 There were remnants of old pillboxes and brick fortifications pockmarked with bullet holes. There were trenches and berms, there were signs warning to watch your where you walked due to unexploded ordinance. The fortifications were just a taste of what could be found in the surrounding vicinity. After all, the complex was made up of some twenty-one forts. A person could rent a bike and cycle through and around several on a historic route the city has mapped out. Exercise your body and your mind, was this place real? 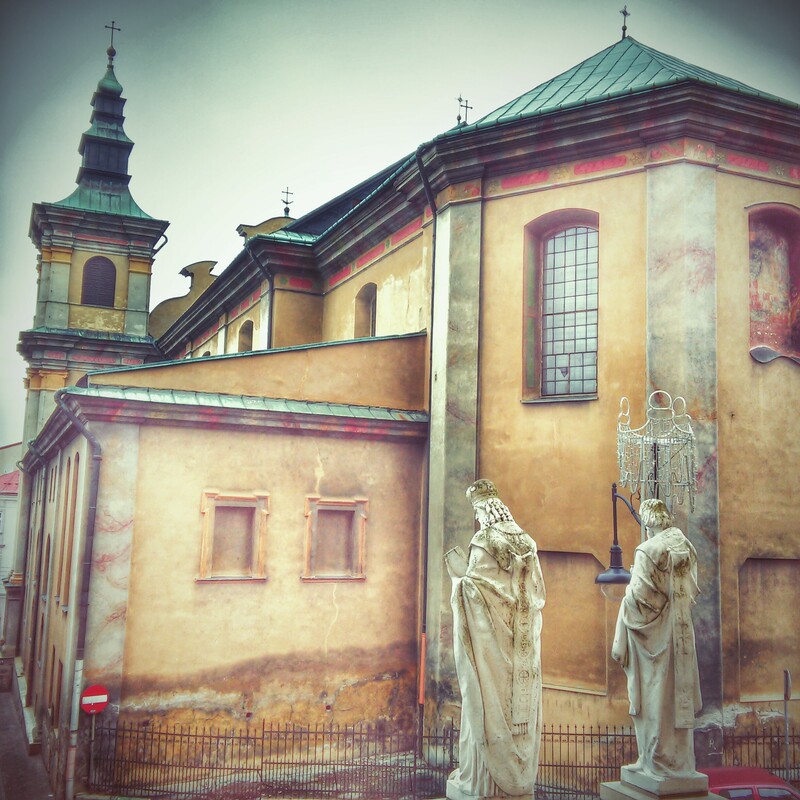 Przemysl’s infrastructure, especially regarding tourism, was some of the best developed I have ever experienced. Talk about hedging the past for the sake of present and future prosperity. This place looked like a model city, not just for Poland, but for the oft criticized European Union. I got the sense that Poland and the European Union had deliberately made the city a showpiece for what could be done to advance post-Communist countries. Here was a border city, in both a Polish and European backwater, on the very eastern fringe of the EU, looking for all the world like it had enjoyed peace and prosperity since time immemorial. Everyday hundreds and sometimes thousands of Ukrainian cross the border into southeastern Poland. They make their way to Przemysl, probably not for tourism, but to shop or work. Each one of them experiences first-hand the progression of Poland, from a post-Communist economic basket case to a shining example of European integration and innovation. In 1991, when the Soviet Union collapsed and Ukraine became independent, it had roughly the same average income as Poland. Now just twenty-three years later, Poland has an average income three times greater than Ukraine’s. This remarkable economic progress has occurred in a single generation. If it can happen in far flung Przemysl, it can happen anywhere else in Europe and that included the nation just 20 kilometers to the east, where Ukraine begins and the European Union, for now ends. Poland and the EU are making their eastern neighbor an offer they cannot refuse. The question is will they decide to take it. It really must have been something to see back then, before the war. We now have it on good authority that it was quite a sight even while the war was raging a few kilometers from its walls. Today it is still something to see, even if it is just a shadow of its former self. 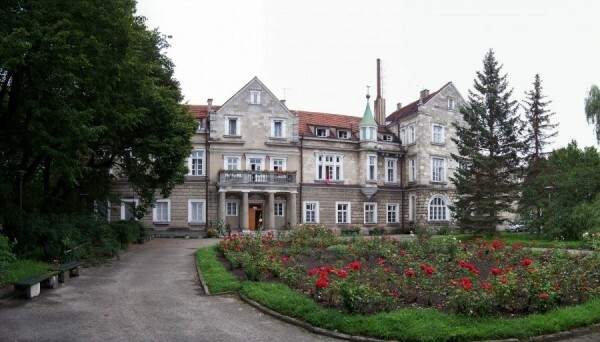 The sight was the Horyniec Palace in what is today Horyniec-Podroj, Poland. Presently it is located in the extreme southeastern corner of Poland, less than five kilometers from the border with Ukraine. 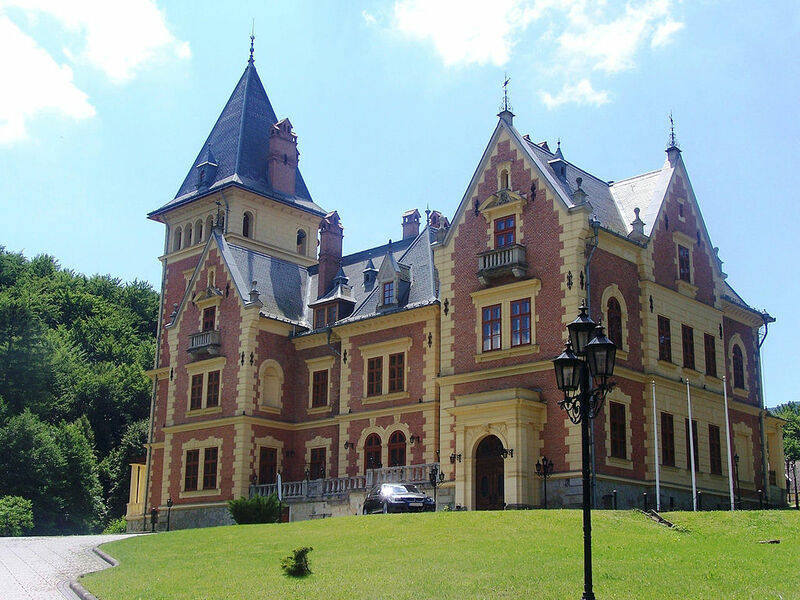 A hundred years and a handful of months ago the area was part of the Austro-Hungarian province of Galicia. As late as the beginning of World War I this region was still a bastion of the Polish land holding aristocracy, this despite the fact that Poland had disappeared from the map of Europe more than a century earlier. The aristocrat’s wealth was in the land. They had magnificent palaces built to display their riches and power. In 1914, those who owned the Horyniec Palace could not have known that their glittering lifestyle was about to be radically transformed. When war came to the palace’s doorsteps, hallways and bed chambers its owners had long since fled. They were not present at the final moments when the material wealth contained within the palace was on the verge of vanishing forever. The war really changed everything and in Horyniec-Podroj it occurred almost overnight. Now almost exactly one hundred years later we have the words of an eyewitness who by accident received one of the last looks at this opulence and also got a first, fleeting glance at its destruction. It was an ominous sign of what was to be repeated all across Eastern Europe in the years and decades to come. Bela Zombory-Moldavan was a Hungarian artist and something of a modern renaissance man. First and foremost, Zombory-Moldavan was a professional painter, good enough to earn a living from his art. 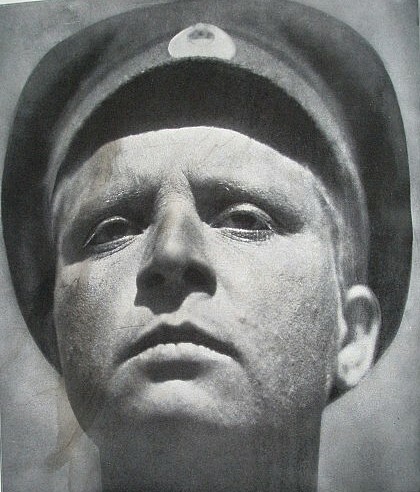 He was a soldier during World War I as well, seeing action on the Eastern Front during the early days of the conflict in the Galician theater, specifically at a clash known as the Battle of Rava Ruska, where Austro-Hungarian forces were routed by the Russian army. It was this battle and his time in the Hungarian Army which has now brought to light Zombory-Moldavan’s other great skill, as an author. He wrote a manuscript that was passed down through family circles until it came into the possession of his grandson, Peter Zombory-Moldovan in 2012. This year, on the centenary of the Great War, the manuscript was published as a book titled The Burning of the World. It is one of only a few English language accounts of the war on the Eastern Front by a soldier who was involved in combat at the field level. Zombory-Moldavan describes the fear, violence and chaos he personally experienced before being wounded. It is modern war at its most devastating. Zombory-Moldavan only catches vague glimpses of the Russian opposition. He hardly has time to fire his rifle, let alone aim it as the platoon he leads comes under withering artillery fire. There is no gripping account of heroic charges in the face of gunfire, there is no opportunity to turn the tide of battle, instead there is a mad scramble to take cover and survive. First, Zombory-Moldovan succumbs to shell shock than a little later he is wounded during another burst of shelling. He describes being wounded “as though the earth has collided with another planet, and I am caught between the two. 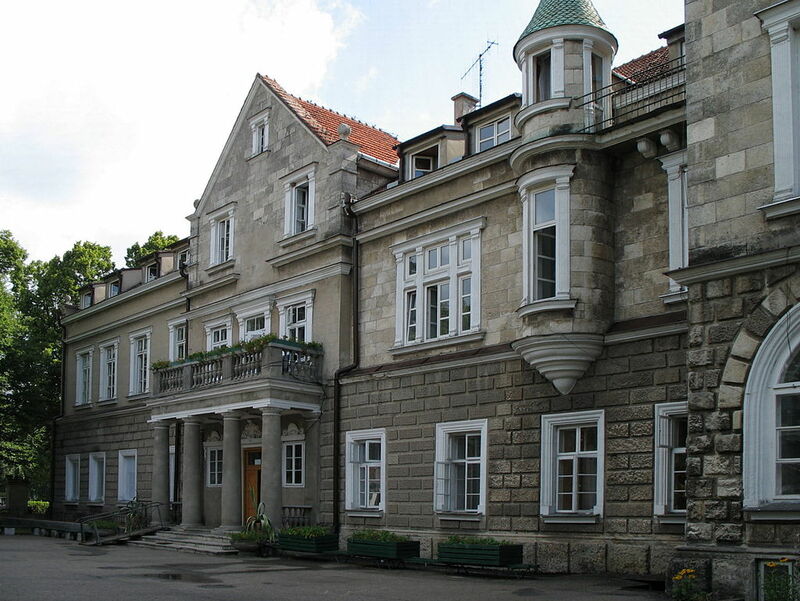 There is a silence so deep that I think I have gone deaf.” An interlude occurs where the traumatized Zombory-Moldavan is brought to the Horyniec Palace where he attempts to convalesce for a few hours before he and his fellow soldiers flee the advancing Russian forces. The artistic instinct in him takes over as he notices the palace’s spectacular interior. It makes a striking contrast to his condition and the destructiveness of warfare which is only moments away from arriving at the palace. Unwittingly, Zombory-Moldavan becomes a final witness to the material wealth and belongings of Eastern Europe’s aristocracy which are soon to vanish. Being an artist, Zombory-Moldavan has an eye for stylistic detail which infuses his writing. He is carried up “the steps of a fabulously beautiful staircase and into a magnificent chamber…(laid) on the silk covers of a bed guarded by gilded griffins – muddy, filthy, and bloody as I am.” Not long after he is aroused from sleep by an assistant who says “Sir! Sir! I’ll help you get up. We have to evacuate the castle. The Russians are coming.” How many thousands of times would these same words be uttered all across Eastern Europe over the next three decades. Despite his dire state, Zombory-Moldavan seems to be aware of the bizarre paradox of his condition contrasted with the lavishness of the interior. While making his way out of the palace he, “can’t resist the temptation to gaze around the two-story staircase and the upper gallery with its ancestral portraits, spanning centuries, in Baroque gilt frames…Downstairs there is a wonderful marble fireplace, tapestries on the walls, and paintings: huge Dutch still lifes with hare and pheasants. I may be the last person to see all this, if war lays waste to it.” A bit later, at a distance he sees smoke rising over the palace. Zombory-Moldavan is looking back at what will be the future. Though badly scarred, he would make his way safely out of the war zone and never see combat again. He would survive for many, many years and live on into the 1950’s. The Horyniec Palace also survived, but in a very different form. Of course it was looted during the war, but the structure remained intact, it is still there today. Ironically, it is a place still used for convalescence, not from war, but from life. The palace is now a sanatarium. The building’s exterior still conveys some of the magnificence of its former self. Yet the interior is no longer home to lavish furnishings or gilded material belongings. That old Europe is gone, swept away by the war. 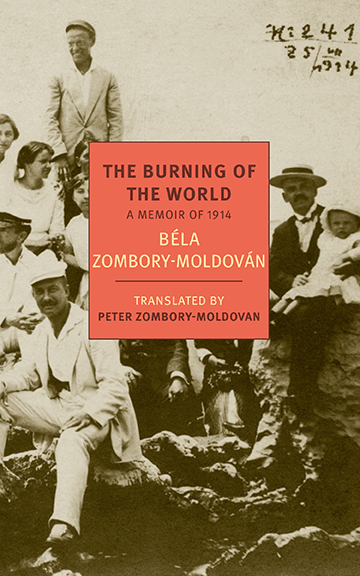 It is hard to imagine what it must have been like, but at least we now have the testimony of Bela Zombory-Moldavan. An artist’s eye and an author’s words rendering one last look at all that would be lost…forever. 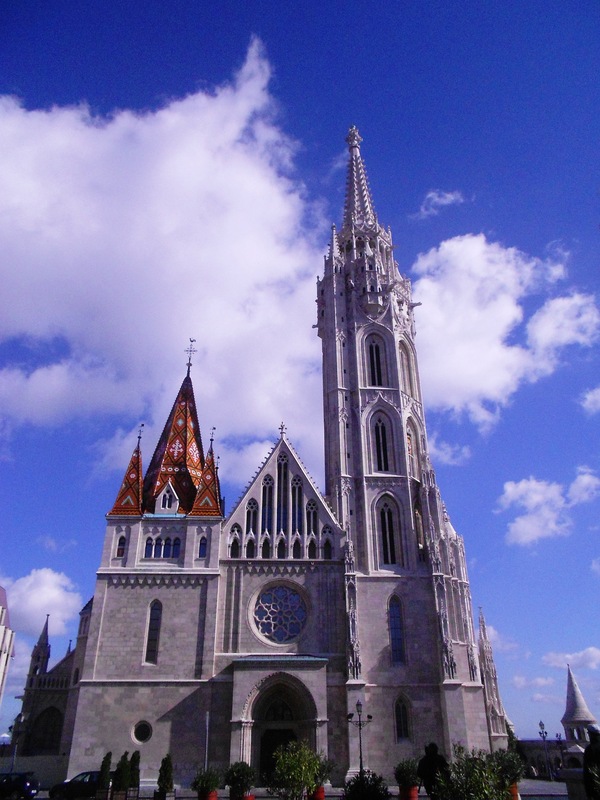 Matthias Church, atop Castle Hill in Budapest, is an architectural fantasy. With its diamond patterned roof tiles and gargoyle covered spire there is scarcely a more stirring scene of eclectic grandeur in the whole of Europe. This beautiful building was reconstructed in the late 19th century to a rough approximation of its medieval self, with flourishes of neo-Gothicism added to recreate it for the modern age. The church has been the site of numerous historical events, including the wedding of famed Hungarian Renaissance King Matthias Corvinus to Queen Beatrix of Naples. It was also the scene of multiple coronations. The last of these, less than one hundred years ago, was the setting for one of the most disturbing scenes in the history of Hungary. It was at this event, what turned out to the last coronation of a Habsburg Emperor, that the fate of the Habsburgs and the Austro-Hungarian Empire was foretold by an unanticipated event that took place in the church. This event exposed the crumbling decay that was the Austro-Hungarian Empire during the First World War. In the latter part of 1916, Emperor Franz Josef died after sixty-eight years on the throne, the last forty-nine of which he was at the helm of the Dual Monarchy as Emperor of Austria and King of Hungary. With his death a new coronation was hastily arranged. The demands of a raging war were set aside for the sake of tradition. This was imperative since the tottering monarchy needed to adhere to the trappings of power in order to give the appearance of strength and unity. 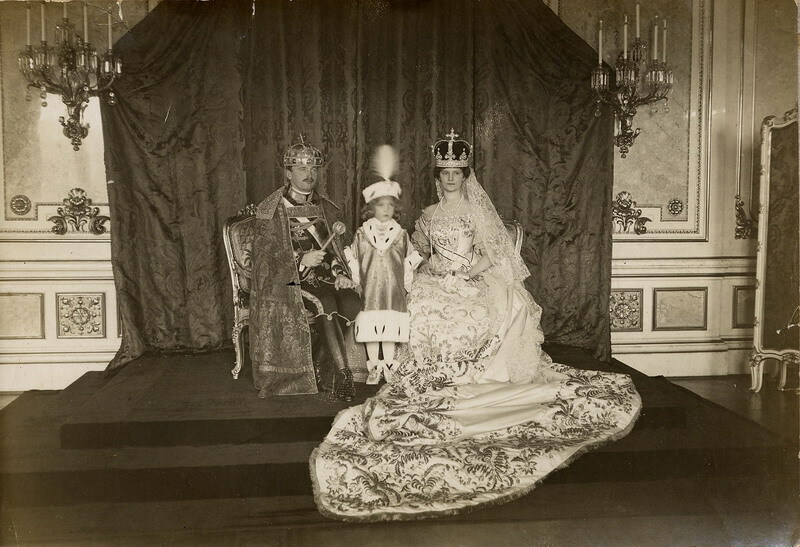 The coronation in Budapest was set for the next to last day in December of 1916. Franz Josef’s great nephew, the man who would become Emperor Charles I was to ascend the throne. “There must have been about fifty of them, all officers coming from service in the front lines. Most of them were in iron-grey uniforms, faded, mended, with worn leather belts and blackened straps…In the forefront were men with wooden legs leaning on crutches, limping, knocking against each other, coughing and breathing heavily with the effort of movement. Through that side door and out into the glow before the altar there poured all the sad grey tragedy of war to flood the space where a few moments before all had been shine and glitter. No one spoke. They were all utterly silent, not a word passing between them. All of them just stood there, looking straight ahead with a stare that was both eloquent and at the same time passive. Their eyes were the eyes of men who, day after day, looked death in the face. A greater contrast of scenes occurring in just a matter of moments could hardly have been imagined. Majesty met a deathly sense of duty. Splendor was overcome by decay and decline. The entire ceremony can be interpreted as a metaphor of life imitating art. In this case, art foreshadowed a tragedy of historic proportions. In the church that day the ladies represented what the empire had been, the alluring glamour and beauty of the aristocracy. The Knights of the Golden Spur were the stark reality of what the empire had become: broken, feeble, on its last legs and fading fast. The future was to be a very different place. After what these men – who were just a few of many millions – had endured nothing could or would ever be the same. The empire was disintegrating at the front. The broken soldiers were the physical embodiment of a mortally wounded monarchy. The end was near. Studying this scene, it is much easier to understand what happened in the months and years that followed. The shimmering power of the monarchy had all but disappeared amid the dark shadows of war. It was a relic of a bygone era which had come to an end far from the neo-Gothic splendor of the Matthias Church. Belief in the monarchy had been buried in muddy and bloody trenches, drowned in the marshlands of Galicia and blown to bits high in the Italian Alps. The survivors were barely better off than the dead. The Knights of the Golden Spur were the last, stumbling vestige of a tradition that was on the verge of oblivion. Soon the monarchy, the empire and the Kingdom of Hungary would cease to exist. Chaos would soon reign supreme. The teaching of history often consists of little more than forcing students to memorize a seemingly endless litany of inane facts and dates. The connections and contexts which are so critical to historical understanding often get lost in a maze of minutia. This is unfortunate, because history is really about trying to understand human actions that have occurred in the past. Since these actions were committed by people, they are full of complexities and contradictions. Thus, it is hardly surprising, that history is an inexact science. It is very difficult to predict the future from what has happened in the past, precisely because human actions are quite unpredictable, even as they are influenced by the past. The small unassuming village of Paradsasvar tucked into the Matra Mountains of northern Hungary holds a structure and a life story that illustrates the complexities of one man who shaped history in the form of his own contradictory character. Arriving in Paradsasvar visitors are almost immediately drawn to the Karolyi-kastely. This otherworldly creation of the famed architect Miklos Ybl is a contradiction in and of itself. For all intents and purposes the kastely is an imaginative concoction of wickedly steep roofs, including a turret not for defense, but decoration. Covered by a faded red coat of color trimmed in vibrant yellow, it is an architectural fiesta, nothing less than a celebration of opulence and eclecticism. The contradiction comes from the castle’s setting, surrounded by thick, dark forest. This confection of neoclassicism is the direct opposite of its cloistered natural setting. Like the Kastely, its former owner is a contradiction as well. 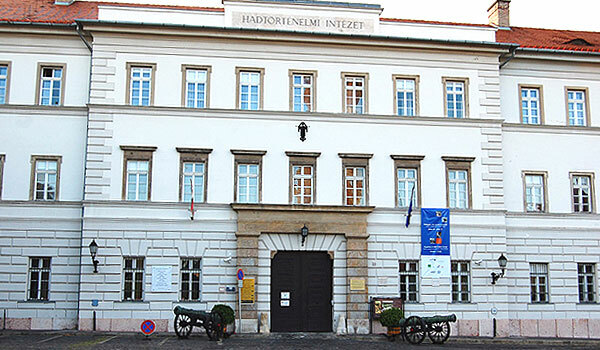 The castle was one of the many homes belonging to Mihaly Karolyi, one of the most controversial figures in Hungarian history. He was born at nearby Fot, into the immense wealth and prestige of the noble Karolyi family. The family was part of a stable of rich landowning aristocrats in the pre-World War I Kingdom of Hungary. These elites ran the country, enjoying vast political prestige and power. They were the crème de la crème of a rigid class system. Karolyi grew up in this world of wealth and privilege. He was something of a wastrel in his youth, squandering both opportunity and money in equal measure. In 1910 Karolyi was elected to parliament as a member of the opposition. Though opposed to many of the ruling government’s traditional policies, Karolyi like almost everyone else at the time supported Hungary’s entry into the First World War. As the war dragged on, Karolyi became extremely critical of the government in power. He was seen as something of a rebel. For instance, he supported the right to vote for war veterans and women. He also pushed for land reform. By today’s standards these views seem perfectly normal. Judging by those of early 20th century Hungary, he was an extreme radical, especially considering his aristocratic lineage. And therein lay the contradiction, this man who had benefited from aristocratic birthright, who was a scion of one of Europe’s richest families, was advocating policies diametrically opposed to the nobility’s interests. He wanted to free the peasantry from the yoke of virtual serfdom, giving them land and rights they had never experienced before. Here was Mihaly Karolyi who lived in the most opulent circumstances imaginable fighting for the common man. Was his benevolence born of guilt? Was Karolyi trying to make up for his physical defects? After all, he spoke with a lisp and had been something of an outcast in aristocratic circles. Perhaps he was trying to get back at his own class. Was he a naive idealist who lacked the vision to see that his beliefs might actually bring about the Kingdom of Hungary’s disintegration? Was he a reckless wastrel who only knew how to squander power? Was he a visionary or a hypocrite? It is hard to say, but he certainly was a contradiction. The cliché that character is destiny certainly holds true in Karolyi’s case. His character informed his short, unhappy term at the helm of a Hungary thrown into chaos by loss of the war. He was given the reins of power at the single worst possible moment. Just days after the war ended, with the Kingdom crumbling, Karolyi took charge of the government. He expressed the same idealistic beliefs of the victorious allies, self-determination and a peace free of reparations. He trusted the British and French to believe that he, Mihaly Karolyi could not only right the wrongs of the past, but also lead Hungary toward the bright uplands of liberal democracy. He would extend the franchise beyond the meager six percent of the male population that were allowed to vote. He would give land to the peasants. He even set a stirring example by dividing his own estates up for the peasants. Meanwhile, the Allies pretty much ignored Karolyi. He had decided to disband the Hungarian Army, a fatal mistake. 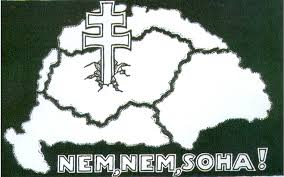 The Romanians, Czechs and Serbs soon invaded Hungary. Karolyi’s government was a disaster. In power for only a matter of months, he ended up turning the nation over to the communists which was an even greater disaster. The upshot was chaos and dissolution. Hungary eventually was forced to sign the Treaty of Trianon, losing two-thirds of its land and population. Nothing was ever the same again. Karolyi had been at the helm when the chaos was at its worst and he suffered much of the blame. It is hard not to look at the Karolyi-kastely, with its fantasy like appearance and wonder how in the world a man who once lived in this palatial mansion, surrounded by natural beauty and material bounty could have ever involved himself in such misguided radicalism. Perhaps the castle offers a clue. It looks like a fantasy and contradicts its natural surroundings. This is much like Karolyi himself, who while surrounded by the glitter of wealth and aristocratic splendor fomented the cause of radical socialism. Karolyi was enchanted by what turned out to be nothing more than a grand delusion. His life, his politics and Karolyi-kastely are filled with contradiction and complexity, reflective of the competing impulses that ruled and wrecked his life. Villages in Hungary are strikingly similar. There are usually several blocks of houses in a variety of shapes, sizes and colors. The tallest structure is almost always a church with its steeple visible from just beyond the village limits. Behind wooden gates large dogs bark at the slightest hint of movement. Transport around the village is usually done with a bicycle or on foot rather than by car. The streets and sidewalks are cracked, but still walkable. And close to the center, there is almost always a four sided monument with a soldier atop it. These memorials honor those soldiers killed in the First World War serving in the Hungarian Landwehr (Royal Hungarian Honved) fighting for the Austro-Hungarian Empire. The monuments are a stark reminder of the toll that the war took on Hungary. 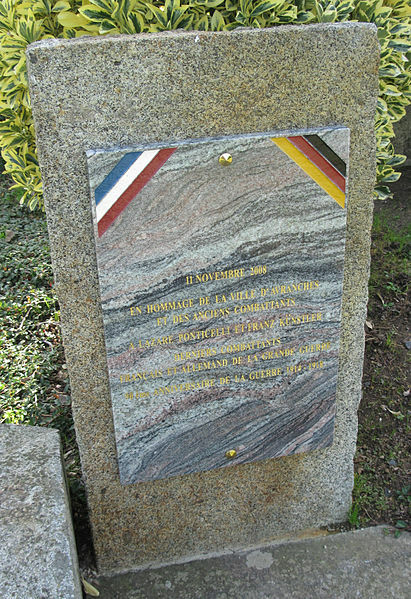 For example, in Fertod a village of no more than 200 inhabitants, there are 36 names listed on the monument to the “Great War.” Some might take offense to the word “Great” to describe the war. That was the name given to it because these monuments were installed in the 1920’s and 30’s before there was a Second World War. The war may have been “Great” for the victors, but it was the opposite of that for those who ended up on the losing side. 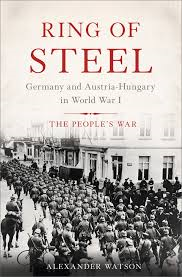 It is hard to overstate the unmitigated disaster World War I was for Hungary. Villages such as Fertod act as a measuring stick for the horrific loss of life that occurred in Hungary because of the war. The village was never much bigger than its present size. Thus the frightening lethality of the war and the exacting toll it took upon the community can be extrapolated by dividing the number of names on the monument from the population of the village. If thirty six men died at the front, that means every fourth family in Fertod lost a son, brother or husband. Everyone in the village would have personally known multiple men who died fighting at the front. 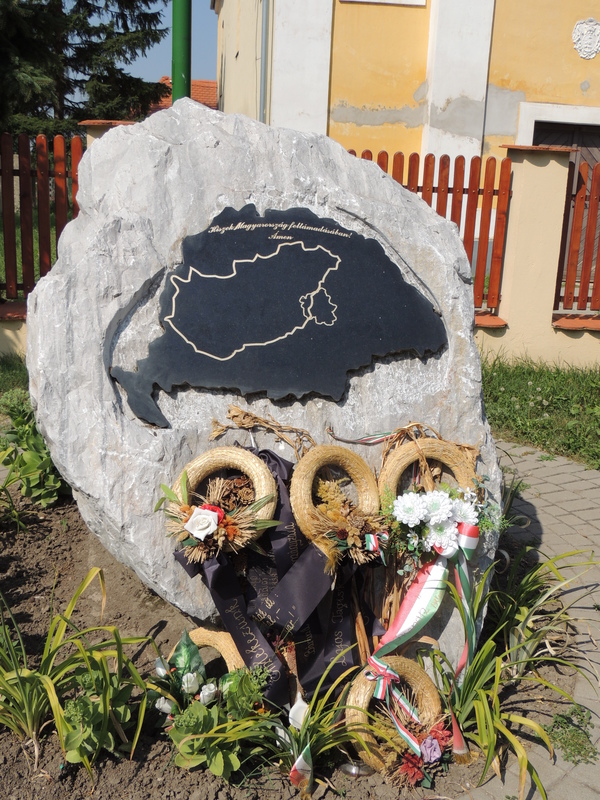 Consciousness for those Hungarian soldiers killed in the conflict still survives today, if barely. This happens most notably through the names inscribed on the Great War Monuments which can be found in almost every Hungarian town and village. The slabs of carved and sculptured stone are often topped with a soldier rushing towards an invisible foe. Some monuments show ladies with their heads bowed in mourning, silently grieving for the lost sons, brothers, fathers and husbands. These monuments are the last testaments to those who gave their lives. They are the only thing left standing between grief and oblivion when it comes to historical memory of the common Honved soldier’s sacrifice during the war. 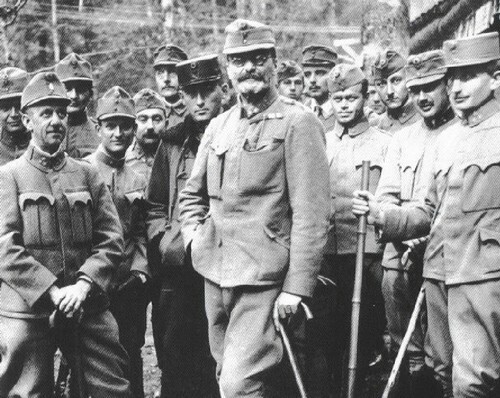 Often military history is viewed through the prism of “great men” or “decisive battles.” But what courage could “great men” have possessed that the average Honved soldier did not? On a personal level, what implications of a “decisive battle” can compete with the loss of a loved one? Were the upheavals in Hungary after World War I caused by anonymous social and economic forces or because good men died fighting for empire, honor and homeland? 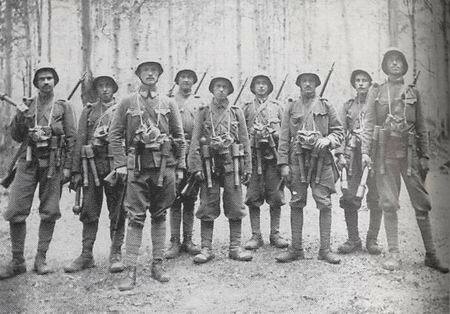 By the latter part of 1918 the ranks of men who could have defended Hungary against their gathering enemies had been decisively thinned. To a foreigner, all those monuments to Honved soldiers lost in the First World War come as a shock. World War II dominates historical discussions of the 20th century. Hitler, the Holocaust, Pearl Harbor, D-Day, the Battle of Berlin and Hiroshima are all common topics in history classes worldwide. The First World War has become a forgotten afterthought or at best, is given a handful of pages in a history textbook. The monuments in Hungary say something quite different. 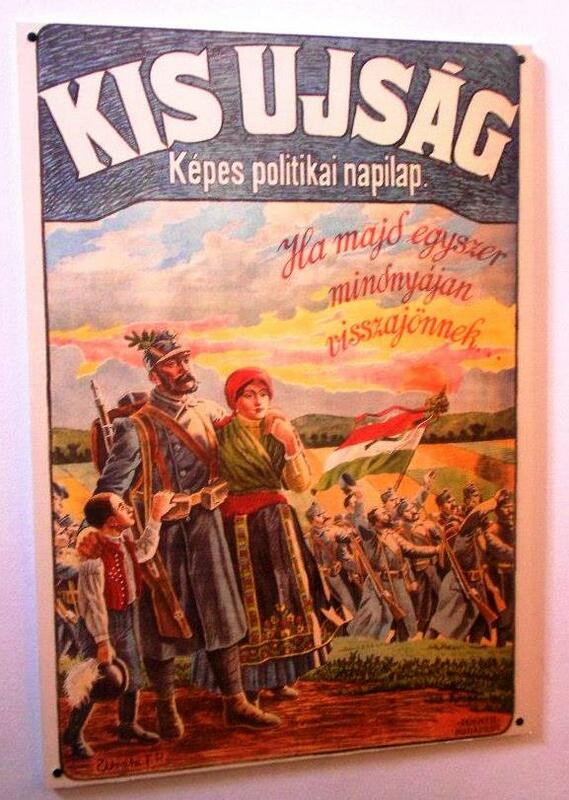 The centrality of the war in the history of modern Hungary cannot be overstated. In those village squares, with their endless lists of Nagys and Vargas, Baloghs and Banffys, it seems the war was lost over many years, in many battles, with thousands upon thousands suffering. Their names are both known and unknown, but even the known are so numerous as to render them numbingly faceless. The final result was not decided by brilliant maneuvers or heroic leadership, but by the sheer weight of numbers. By this reckoning Hungary nearly lost it all. The monuments tell this story in row upon etched row of names. In the wake of this overwhelming loss is it any wonder that Hungary was thrown into chaos. Radical forces extolling the virtues of communism, fascism and even royalism all reared their ugly heads in a Pandora’s Box of competing ideologies. When the armies of these rival movements appeared, all those men who could have defended their villages had long since perished in burned out fortresses such as Przemysl, disappeared into the marshes of Galicia, froze to death in the snowy passes of the Carpathians, shattered by splintering stone on the rocky ledges of the Italian Alps or slowly succumbed in the squalor that of prisoner of war camps on the Russian steppes. In those forlorn locales, blood soaked the soil and consecrated the ground with human stains that would soon disappear, much like the ideals of honor, glory and heroism had on the battlefield. Meanwhile back in Hungary all that remained were empty beds, unplowed fields and a deep, penetrating grief. An all-consuming silence was pervasive in the years that followed. Those villagers left behind passed weeks, months and years without end and without loved ones. And at dates that are now lost to history, the monuments were dedicated as a reminder of those who vanished forever at the front. These monuments are now all that is left in those quiet little towns and villages. Places where the losses of a nation can still be counted one life at a time.